There have been more than 300 limited-edition seasonal and regional flavors of Kit Kat produced in Japan since 2000. Kit Kat collaborated with Sakurmasamune to make Daiginjo Flavour Kit Kat. Founded in 1625, Sakurmasamune is a well-known sake brewery with a history of nearly 400 years. The brewery uses the sake rice produced in Hyogo Prefecture “Yamada Nishiki” and locally available groundwater to make ginjoshu and junmaishu of the highest quality. This water called “miyamizu” and being vital to sake production in Hyogo was discovered by the 6th head of the family Tazaemon Yamamura. 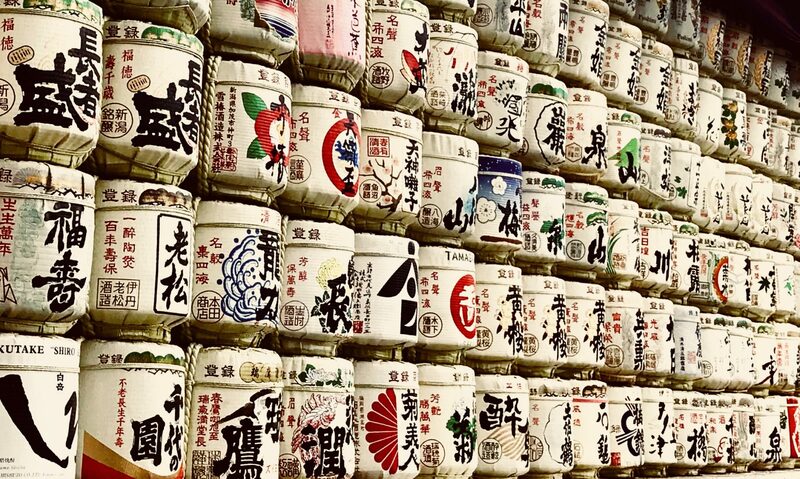 Sakuramasamune has thus made significant contributions as a pioneer to sake brewing in the areas of Nada. Sakuramasamune Kit Kat is blended Ginjo powder in the cream between wafers luxuriously and covered with white chocolate. You can taste rich flavour with elegant ginjo aroma in gentle sweet. The Ginjo powder is made as same as sake brewing. Rice is high quality Yamada nishiki and highly polished with careful. This special Kit Kat is only found at Kansai area (Osaka, Kyoto, Nara, Hyogo) souvenir shop.